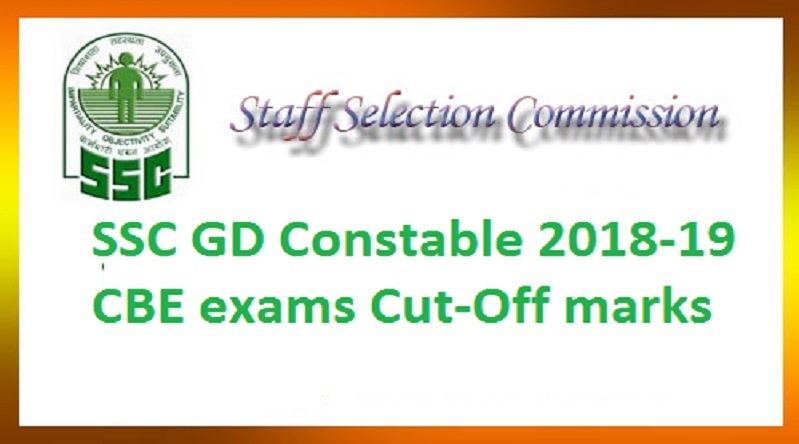 The format for getting selected in the ongoing SSC GD constable examinations, held from February 11 to March 11th, is explained here. The minimum qualifying marks for general and ex-servicemen is 35 per cent and for SC/ST/OBC it is 33 per cent. The paper for SSC GD Constable 2018-19 CBE is consisting of 100 questions. Each question is carrying one marks. The paper is divided into four parts viz: General Intelligence and Reasoning, General Knowledge and General Awareness, Elementary Mathematics and English or Hindi. Each section of the paper is carrying 25 marks and there is not any negative marking. The candidates have to finish the paper in allotted 90 minutes. The applicants belonging to different categories are given relaxation. The expected cut-off for General category is 75 to 80 marks, for OBC it is 70 to 75, for SC it is 60 to 70 and for ST it is 55 to 65. Once candidates clear the cut-off marks, they will be shortlisted for the Physical Efficiency Test and Physical Standard Test. These tests will be conducted at various centres. The final selection will be made on the basis of the candidate’s performance in the first three phases.